Three positive tests for equine influenza were recorded at Donald McCain's yard on Wednesday evening, which in turn led to the cancellation of all of Thursday's cards in Britain. These include the Betfair Hurdle card at Newbury on Saturday, one of the most valuable meetings of the National Hunt season. Under the rules of racing, Irish horses in training must be vaccinated for equine influenza, a disease which shows symptoms ranging from increased temperature, coughing, nasal discharge, being off feed, and more severe respiratory signs. The incubation period is usually days but recovery can take weeks, or even months. A source added that the outbreak is likely to cause a much more serious issue for non-racing horses, which are mostly not vaccinated and do not have the same protections against the disease. Irish trainers Gordon Elliott, John Carr, Shane Nolan, Stuart Crawford, Ronan McNally, Caroline McCaldin and David Christie have had the runners they had in Britain on Wednesday quarantined, away from their stable. The disease can take up to three days before symptoms are visible, meaning it will take until Sunday at the earliest before the BHA can gather all the information required. 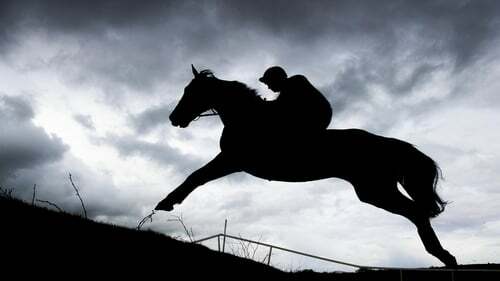 "This precautionary approach is meant to ensure we put the health of the horse population and control of the virus first, and avoid any unnecessary risk that might come from returning to racing too quickly. We have three confirmed cases and this morning have taken blood and swabs from all the others for testing".